Your concerns are a priority for us. What often seems like an easy to answer question is complicated by your specific set of circumstances. The answer is often “it depends.” We will work with you to schedule your appointment quickly at our conveniently located office or by phone. Moving is a very big occasion on many levels. Moving with your child is potentially the biggest moving issue. If you do this wrong, you could lose custody of your child. Be aware that your child support is court ordered. You continue to owe support unless and until that order is changed, even if you and the other parent agree on a change. Call to schedule your free 30-minute consultation to discuss what you need to do. I was personally served. What now? Call our office to schedule your free initial 30-minute consultation. There is a deadline to file an answer or response. Meet with an attorney as soon as possible to develop a case plan and get the legal advice you need. Call our office to complete an in-take questionnaire by phone. One of our staff members are usually available to speak with you at the time of your call. The form takes about 10-15 minutes to complete and we will ask you for some basic information including the nature of your injury, the name of your employer, and the insurance company handling your claim. I have reached an agreement with the other party. Do I need an attorney? General forms are not created with your specific situation in mind. They are often confusing and lack personalization. For a nominal fee, we can prepare your agreement and give you the peace of mind that your agreement was prepared correctly and avoid future issues or confusion. Your initial 30-minute consultation is free! 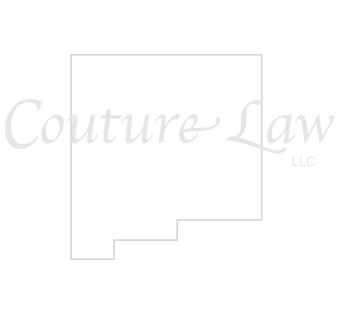 During your consultation, the attorney will provide you with a price quote to initiate services or representation. What should I bring with me to the consultation? Please bring a copy of any court documents or correspondences you have received. If there’s anything else that you feel may be relevant to your case, please bring a copy for the attorney to review. Additionally, we recommend that you bring a list of questions and the ideal outcome you are seeking. This will help you make the most of your time with the attorney and ensures that the attorney is able to address your questions and provide sound legal advice. When can I meet with an attorney to discuss my case? Call our office to schedule an appointment for a free 30-minute initial consultation or one-hour consultation at a reduced price of $100. We offer appointments Monday through Friday during our normal business hours. Can’t make it in-person? We are happy to schedule your appointment by phone.